I am honestly having a hard time focusing on my review. Because as you know I am busy with school (I am revising my thesis proposal for the nth time T.T) and I cannot find the time to sit down, grab my pen and open my books to review. But I have to be determined if I want to pass the board exams. And suddenly, I realized that I haven't shared anything about how-can-we-stay-focused-while-reviewing-for-the-board-exams tips, right? Study Tip #1: Learn to prioritize. I am an organized person. I always act according to schedule (as much as possible). And when it comes to studying it is always better to be organized and learn how to prioritize things. 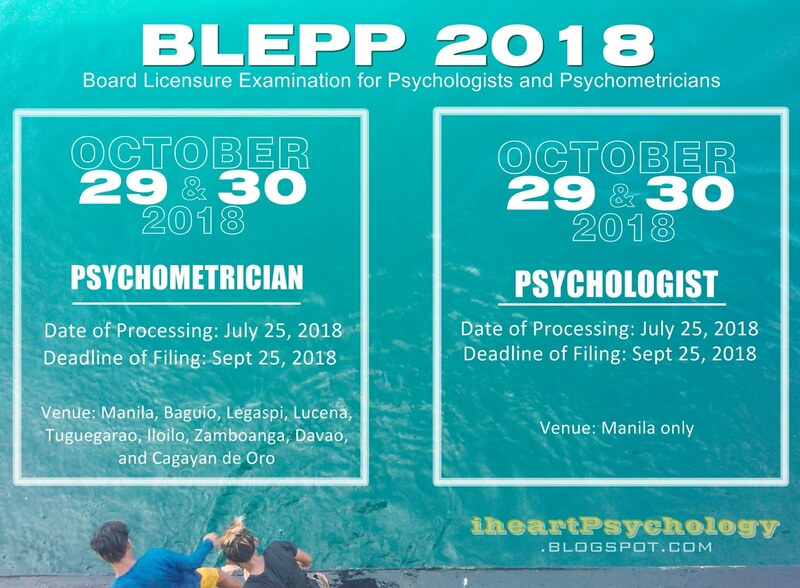 Since we still have ample time to study before the Licensure Exam for Psychologists and Psychometrician, we better set a time table. First, think about how you want to study. Is it one subject per day or one subject for an hour? It is up to you. In my case, I set my schedule one subject per month. Let's say, I allotted the month of April to refresh my General Psychology knowledge, then the month of May for Theories of Personality and so on. This way you'll stay focused on your review. It's simple, identify which of the board exam subjects you want to review first. Or identify which subject you'll want to spend more time reviewing and researching. If you know what are your priorities, organizing your review would be easy. Study Tip #2: Take notes. Note-taking is a MUST when studying. After a lesson, it is important that we take note of everything that the teacher discussed and what are the important concepts to remember so it'll be easier for us to review the lesson when the exam comes. Learn to summarize the lessons on your own words. You can also make Chapter outlines to help you out on your review. Just like what I did on my Theories of Personality Reviewer. You can also make cue cards or your own reviewers before the exam. I made my reviewers while reading each chapter, because it's a way to retain what you have read. Not only you're re-reading the topic, you're also writing them down and afterwards you'll get to read them again. Study Tip # 3: Read, read and read. 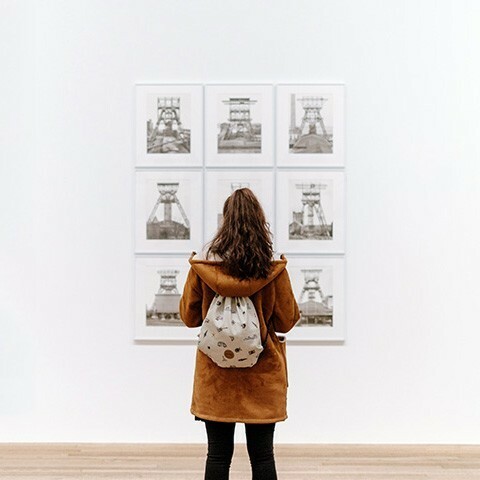 If you're not into writing or you don't have the time to make reviewers, you can review effectively by reading, reading and re-reading your notes and books. It's an effective way to retain everything. But reading doesn't only mean reading itself. You should read, understand and analyze what you have read. If you understand what you have read then you'll surely have no problem recalling them. So just keep on reading your notes. Let's say read the whole chapter in the morning, take a break and analyze what you have read. Then, on the afternoon, read the chapter again. And before you went to bed, read it again and you'll notice that at one glance on the material you'll be able to recall what was it all about. Study Tip #4: Be creative. Studying and reviewing really gets boring. Isa yan sa mabisang pampatulog (joke). But kidding aside, who wouldn't get sleepy after staring on long paragraphs? So, to make your review fun and alive, be creative! Using different-colored highlighters and pens is a fun start. Aside from that, you can also construct your personal acronyms and clues to remember your lessons. You can also make Fun Fact cards or Did You Know cards with cute drawings and decorations. You can also associate your lessons to appropriate pictures you can get on the web (through Tumblr or Instagram). Draw on your notes and use colors. You can also have a chat game with your friends..ask a question and let your friends guess the answer and vice versa. That way, you'll get to review your lessons and at the same time bond with your friends. Study Tip #5: Find a perfect study spot. Let's be honest here, beds are not the best spot to study your lessons. Try looking for a place on your house or office or outside where you feel comfortable and relaxed. Some recommend to find a quiet and peaceful place, but based on my experience, quiet places leads to feeling drowsy, so I try to avoid super quiet places. But it depends on you. Search for the perfect spot where you will be motivated to study, a place away from distractions, a place you can call your study niche. If you have a single study area, every time you went to that place you'll associate that with studying - not with sleeping, not with eating or not with chatting with your friends. Study Tip #6: Think positive. Being pessimistic during exams would lead you to Failure. So, instead of worrying about negative outcomes, think the positive way. If your thoughts are focused and your mind is set on passing the exam nothing can prevent you from studying. On times like this, spending hours on your social media accounts would not help. They are great distractions to the success of your review. Limit your social media time to a maximum of 2 hours a day, that way you have enough time to study your lessons. Or better yet, try deactivating your account for the mean time. Trust me, this would help. Okay. While the Internet brings a lot of distraction, it can also be a good study buddy. How? Use it wisely. Instead of signing in your FB accounts why not try browsing over blogs with good study tips or websites that would make good references for your review. Download free PDFs of your lessons, or watch free psychology lectures and slides. That way you'll get to learn from a different angle. You can also use YouTube to listen to relaxing songs, or you can simply download songs and play them on your phone while reviewing. Study Tip #9: Discuss what you have read on the air. This one is my personal style of studying. After reviewing, I try to discuss it out loud, even if no one's listening. It's like reporting what you have studied on the air. That way, I would be able to know what concepts were retained and identify the topic that needs more reading and analyzing. I just go over a round of discussion and if I miss a point I take note of it and read it once more. If you want you can also try recording your voice using recording apps on your phone. That way you'll get to study your lessons anywhere you go without having to bring books but your phone and headset. Study Tip #10: Don't forget to take breaks. Last but not the least, it is important to have breaks when studying. Our mind needs rest too. So after an hour, try resting a bit by eating a healthy snack, drinking water or listening to music. And that's the way I study for the exams. I hope this would help you out. Reviewing is easy all you have to do is keep in mind that "I have to do this to pass the exam." Focus and study seriously. Use all possible resources you have to cover all the important terms that you have to remember. 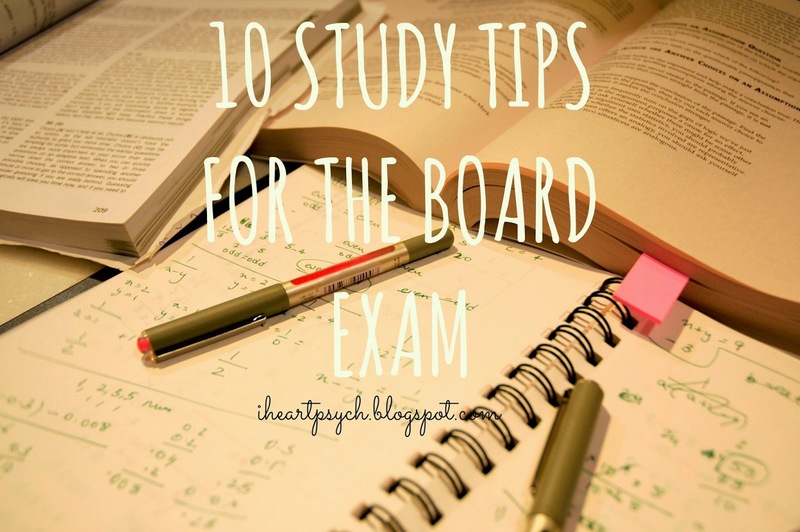 Cramming is not a good idea, so for you to pass the board exam follow these simple steps too. Thanks numnums soriano! I hope you did pass the exam! Hi! You are most welcome!